Listen closely. With each sea breeze that drifts over every Nova Scotia fishing village, sandy shoreline, and working waterfront are whispers of a promise. That no matter where your exploring takes you, you will uncover hidden treasures that enrich your travels. Nova Scotia’s breathtaking seacoast, living history, friendly locals, and fresh seafood each hold the promise of experiences you will remember for years to come. 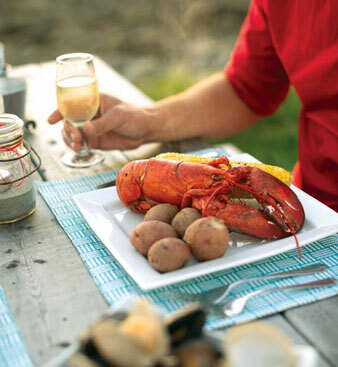 In Nova Scotia, cultures combine to form a wonderful tapestry of experiences. Mi’kmaq, Acadian, African Nova Scotian, and Gaelic influences live strong to this day. That there are three World Heritage Sites (a total of five UNESCO sites) in the province speaks to a vibrant history that’s been wonderfully preserved. 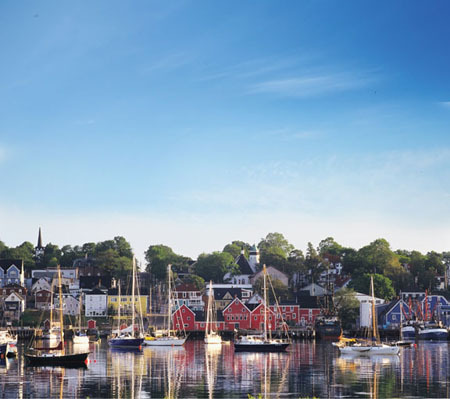 But more than that, you’ll live the richness of our heritage in every place you visit, from Old Town Lunenburg’s colourful streets, to the Gaelic communities of Cape Breton Island. Like Nova Scotia’s varied landscape has been shaped by the sea, our warm, welcoming culture inspires our present. Who we were is a part of who we are, and the tales you’ll hear today are attributed to a storied past. From the famous Bluenose schooner, to Joggins Fossil Cliffs, to the Landscape of Grand Pré, live our history, indulge your curiosity, and get to know the people who continue to celebrate the culture that shapes them. Kick off your sandals, or lace up your hiking boots. Whether you relax on one of our warm-water beaches, or explore our spectacular coastline, there are endless ways to simply have fun by the sea. Melmerby Beach is a beloved place for a saltwater dip. 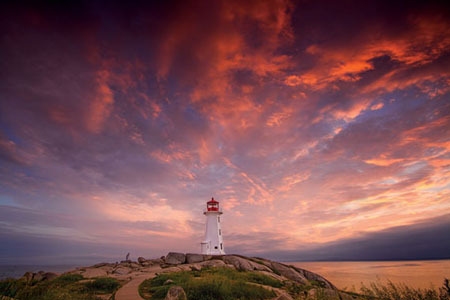 And Peggy’s Cove, home to what’s probably the most photographed lighthouse in Canada, is a rock-hopper’s dream. But wherever you explore, there’s no rush. Discover our beauty at your own pace. Nova Scotia has the perfect activity to satisfy your taste for adventure. 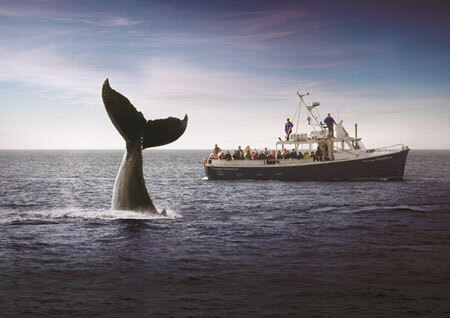 Natural wonders are around every corner, whether you’re riding the untamed rapids of the Bay of Fundy tidal bore, spotting a breaching whale, kayaking around Cape Chignecto’s dramatic cliffs, or cycling along the coastal Rum Runners Trail. In Nova Scotia, it’s easy to break away from the expected, and discover a feeling you’ll find in no guidebook – the exhilaration of blazing your own path. Take a chance – you’ll be richly rewarded. Canada’s only authentic links golf course, Cabot Links, is just one reason that golfers flock to Nova Scotia’s fairways and greens. 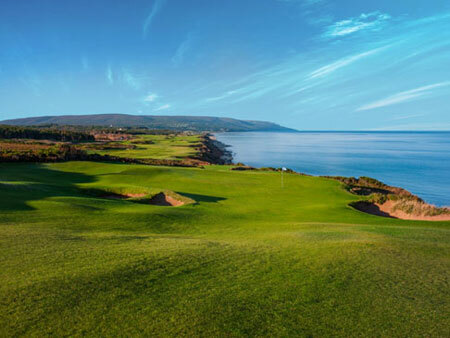 Its sister course, Cabot Cliffs, hugging Cape Breton’s dramatic coastline, debuted at #19 on Golf Digest’s list of the World’s 100 Greatest Golf Courses, and was named “Best New Course of the Year” for 2015. Joining Cabot Cliffs on this prestigious list is the Links at Brunello in Timberlea. But you certainly don’t have to be a golfer to experience the majesty of Nova Scotia’s landscape. 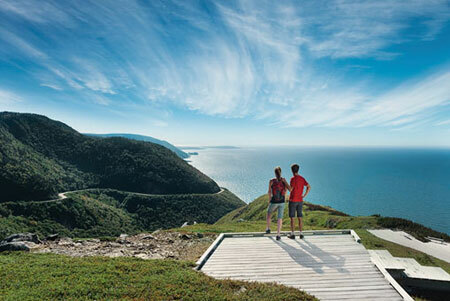 Whether you drive or cycle the breathtaking Cabot Trail, or hike the awe-inspiring Skyline Trail, you’ll be surrounded by the vistas – and wildlife – that define a memorable day outside. Follow your feet to clifftop vistas, secluded beaches, and some of the clearest night skies in North America – in Southwestern Nova Scotia you’ll find the first Starlight Tourism Destination on the continent. Enjoy a night or two at one of Nova Scotia’s countless and stunning Bed and Breakfasts from the luxurious to the rustic. Sidle up closer to our beauty by exploring off the beaten path. 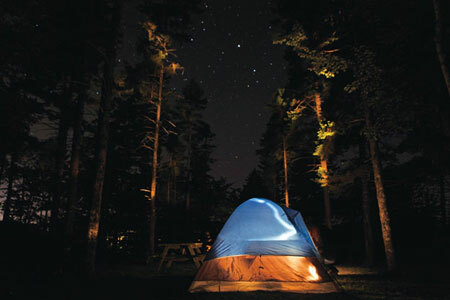 For the adventurous, our province is dotted with camping sites that invite you to crawl into a tent and stay awhile. So plan on spending the night and stargazing – even if roughing it isn’t your thing. Sit down, relax, and indulge in local cuisine created with local flair. In Nova Scotia, food is flavoured with the authenticity that defines our farmers and fishers, and inspires our chefs and wine makers. Our seafood often gets top billing, but that’s just the beginning of why food lovers and casual diners alike keep coming back for more. Whether you discover your favourite local café, expand your skills with a Hatfield House Culinary Class, or dress up in costume to take part in the Beggar’s Banquet, dining in Nova Scotia is an adventure. In Nova Scotia, great things are always brewing, distilling, and aging. Getting thirsty? Begin your exploration with Nova Scotia’s premier white wine, Tidal Bay. As the province’s first wine appellation, it’s the perfect reflection of this region. 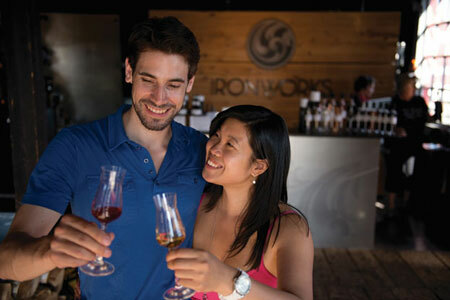 And it’s just one reason to hit the Good Cheer Trail, featuring over 35 local wineries, craft breweries, and distilleries. From our passionate artisans to your table, local craft beer, wines, and spirits are the perfect match for our local cuisine. Not all treasures are tangible. In Nova Scotia, there’s a cultural, historical, and experiential richness that’s as priceless as it is unforgettable. If it’s speaking to you, do yourself a favour and listen intently. We’d love nothing more than to welcome you warmly to our shores. 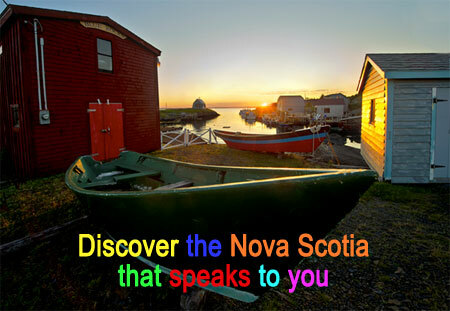 Complete your trip to Nova Scotia by booking your accommodation at a unique Bed & Breakfast at BBCanada.com.